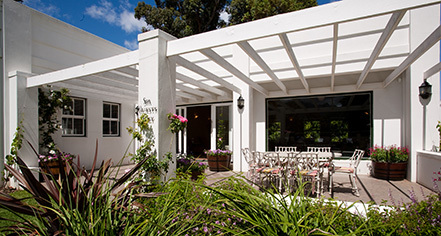 The Erinvale Estate Spa is a tremendous place to reinvigorate both the mind and body. The spa’s four comfortable treatment rooms are a bastion of rejuvenating energy, where its expert staff employ a number of relaxing therapeutic techniques that will do much to enliven the soul. To accomplish such a task, the Erinvale Estate Spa makes great use of a wide variety of internationally-renowned skincare products from the likes of Babor, Mama Mio, and Dermalogica. This excellent facility offers more than just its celebrated health and beauty treatments though, as it also includes a steam room, an outdoor pool, and a relaxation area complete with a heated whirlpool. 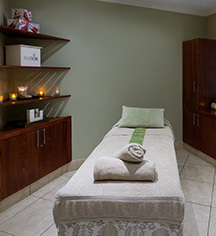 Come experience true euphoria at the Erinvale Estate Spa.